The mystery of Mon-El’s disappearance has been solved. In “Wake Up,” the latest episode of Supergirl, Mon-El was discovered on the ship in National City harbor. Over the course of the episode, he revealed where he had been for the past seven months — and that he married another woman while he was gone. After a research team discovered the spaceship in National City harbor, Kara, Martian Manhunter and Winn went to investigate. They found a dormant ship, with several occupants in hypersleep. However, one of the ship’s passengers was alert and on the defensive: Mon-El. He fired off one shot, which Kara blocked with her impenetrable skin. When he stepped into the light, they recognized him and immediately took him to the DEO to recover. 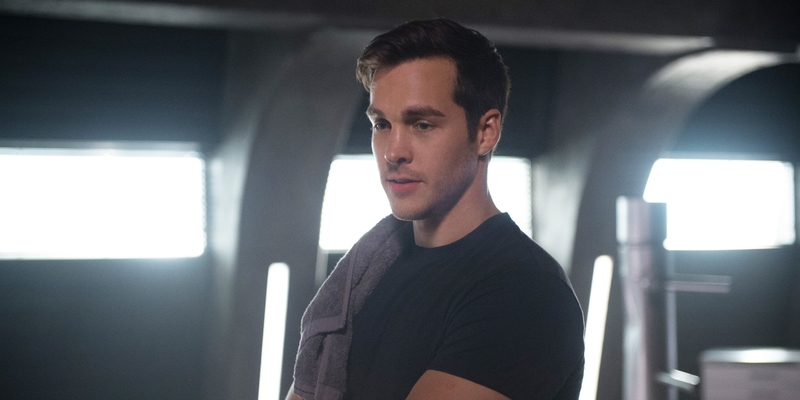 At the DEO, Mon-El exhibited some odd behavior when he broke into the DEO’s armory. Supergirl caught him and threw him in lockup, only to beg him for answers, which he refused. When Winn stopped by for the same reason, Mon-El asked Winn for help and managed to convince him when he said Kara was in danger. Together, the two returned to the underwater spaceship. Kara caught them in the act, but — just as she confronted them — one of the people in the hypersleep pods began to show signs of distress. She managed to save the passenger, a dark-haired woman who passed out as soon as she resurfaced. On the underwater ship, Mon-El revealed a hard truth about his time away. While he had been gone for seven months on Earth, he had experienced seven years away. In the Season 2 finale, he had passed through a wormhole, which propelled him into the 31st century. There, he received a lead cure from L-corp and moved on with his life. In the comics, Imra is a member of the Legion of Super-Heroes. She will eventually be joined by fellow Legionnaire Brainiac 5, who will be played by Defiance alum Jesse Rath, on Supergirl.